Annette Wormuth Obituary - Scranton, Pennsylvania | Solfanelli-Fiorillo Funeral Home Inc.
"i had the pleasure of meeting Nettie through our Monday morning golf league at L"
Annette ”Nettie” Wormuth passed away on December 30, 2018. She was 84 years old. 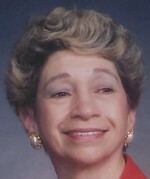 She was a loving and dedicated wife, mother, grandmother, sister and friend. She will missed by everyone who knew her. She was born in Scranton on April 15, 1934 and attended Scranton public school. When she was withdrawn at a young age, she worked. She returned to school to earn her cosmetology certification and GED in 1975. She managed a home hair salon until her mid 70s. Her family members were her best test customers. She also drove for the NEIU #19 for 20 years before retiring in 2003. She married Robert D. Wormuth on August 24, 1957. He preceded her in death on October 30, 2003. After their marriage they moved to St. Petersburg, FL. They returned to the East in 1960 and lived in Patterson, NJ until 1964 when they returned to Scranton. In each location, Bob and Nettie became part of their community and created lifelong friendships. They raised 4 children during these years. Robin and Bob remained close to their parents and were able to be with her when she passed away. She was a dedicated mother who managed the family household and supported her children in their various school and extracurricular activities. This included things from managing the snack stand at the little league field to being a Girl Scout cookie chairman to a PTA officer or chairperson. She also made time for herself by joining social organizations such as the Young Mothers Club, the Catholic Women's Society, Mending Hearts at CMC and more recently the Keystone UNICO. She supported fundraising efforts by the American Heart Association, March of Dimes and the American Cancer Society. As a member of these groups, she was able to give back to her community and meet wonderful people each time. As her cousin recently shared, “she was always happy and fun to be with”. She was a devout Catholic. She was a member of Holy Mother of God Church in Scranton ann regularly attended mass there. Also, she faithfully attended the novena at St. Ann’s Monastery each July and was disappointed if she missed any of the novenna days. She took many opportunities to explore her faith by attending diocese/church sponsored lectures and attending shorter novenas. She always carried her rosary and prayer cards with her. She is survived by her children Robin Lallement and her husband Pierre (deceased 2011) of Boalsburg, PA, their children Paul and Luc Lallement of State College and Robert Wormuth and his wife Lisa of Old Forge, PA and their children Robert and Matthew. Also surviving are her brothers, James Cerminaro and his wife Beverly of Henderson, NV and Joseph Cerminaro of Scranton. She had many nieces and nephews and cousins who also survived her. A Mass of Christian Burial will be celebrated on Friday at 9:30 am in Holy Rosary Church 316 William St. Scranton. Her family will welcome friends and family in the Solfanelli-Fiorillo Funeral Home Inc., 1030 N. Main Ave. Scranton on Thursday from 4-7 pm. In lieu of flowers, please consider donating to the American Heart Association 5455 N. High Street Columbus, OH 43214, March of Dimes P.O. Box 673667 Marietta, GA 30006, American Cancer Society 712 S Keyser Ave, Taylor, PA 18517 or to the Friends of the Poor 2300 Adams Ave, Scranton, PA 18509.